As Syrian Forces continue to defeat ISIS strongholds, they are finding an alarming number of drones, machine guns and Humvees left behind by the militants. When the Islamic State of Iraq and Syria began to dominate headlines in 2014, it was made out to be the most horrifying, ruthless terrorist group in existence—now any coverage the group receives tells a story of defeat, and the discovery of American weapons and equipment has gone virtually unnoticed. This latest defeat is just one example in a series of clashes that have resulted in the Islamic State shrinking in size and power. 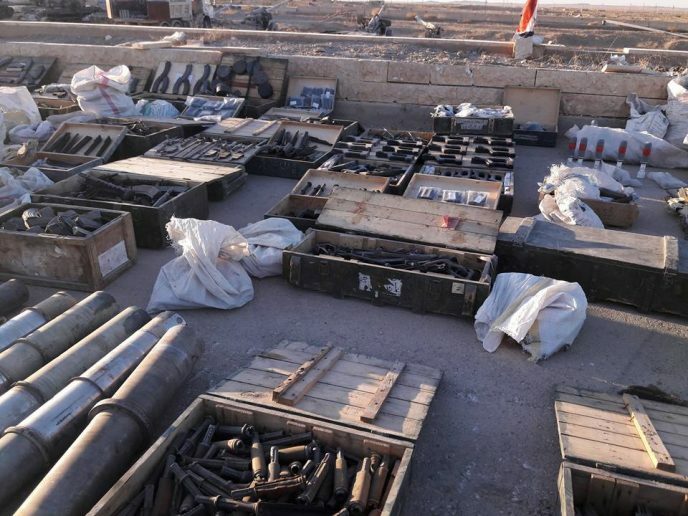 As a result, Syrian forces have gained insight into the weapons and equipment the Islamic State fighters possessed. “From machine guns to drones, the Syrian Army seized the large weapons cache Al-Mayadeen after liberating Al-Mayadeen from the Islamic State terrorists that once occupied the city,” The report claimed. 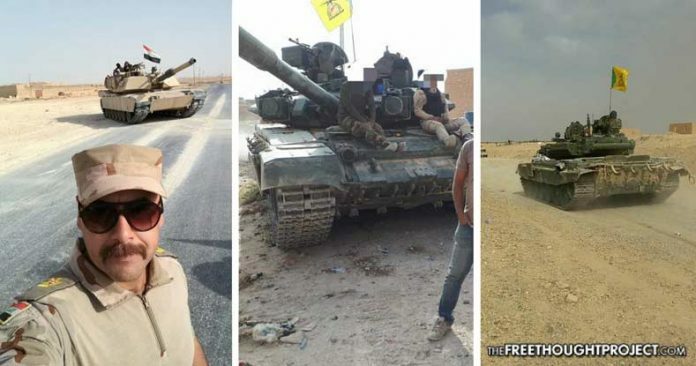 A second report from Al-Masdar News noted that the Al-Mayadeen operation also resulted in the seizure of “up-armored tanks, Humvees, improvised armored personnel carriers and heavy artillery pieces” from the ISIS militants. The idea that the Islamic State—a terrorist group that appeared from virtually nowhere—has access to machine guns, Humvees and even drones should raise some serious red flags, and should lead to questions all around about who is supplying the group with such state-of-the-art supplies. “The US has supplied us with Hummer armored vehicles and heavy armament for the Deir ez-Zor operation, including missiles, infra-red guidance missiles, machine guns, mine throwers, Kalashnikov assault rifles and other ammunition,” an anonymous SDF source told Sputnik Turkiye. As The Free Thought Project has reported, when both Russia and the U.S. claimed to be working to liberate Deir er-Zor from ISIS fighters in September, the Russian Ministry of Defense released what it claimed to be, aerial images of ISIS positions included equipment from U.S. Army Special Forces. As the terrorist group that once dominated mainstream media headlines for its ruthless attacks suffers a series of major defeats, there are still countless legitimate questions about why the group has been given access to U.S. weapons and equipment, why the lines seemed to be blurred between ISIS and SDF fighters, and why the United States continues to arm the Syrian Democratic forces under the radar.